chevalnoir3 has no other items for sale. 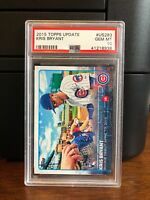 KRIS BRYANT 2015 TOPPS CHROME ROOKIE RC #112 CHICAGO CUBS STAR!!! 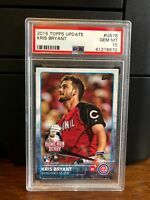 (2) Kris Bryant 2015 Topps Chrome Rookie Card #112 CHICAGO CUBS 2 LOT!! $0.05 shipping for each additional eligible item you buy from chevalnoir3. If purchasing more than one item, please place all in cart and request total from seller. I will send invoice with combined shipping costs.